benefit concert for Family Focus Adoption Services at Columbia University. It will be a very special moment for both the Carpenter family, who began their musical career in Great Neck, and their longtime teacher, Joe Rutkowski, when they perform together at Columbia University’s Teatro on April 3 in a benefit concert for Family Focus Adoption Services. Clarinetist Rutkowski, instrumental director at North High, will play with siblings Sean Avram Carpenter (North High Class of 1999), Lauren Sarah Carpenter (Class of 2002) and David Aaron Carpenter (Class of 2004), who are the founding members of the Salomé Chamber Orchestra. Though the Carpenters have played with their teacher numerous times since Rutkowski taught violin concertmaster Sean when he was in the sixth grade, principal violinist Lauren and solo violist David, this will be their first professional concert appearance together. Together with Salomé Chamber, Rutkowski, who has taught music in Great Neck since 1991, will play the Mozart Clarinet Quintet K 581. 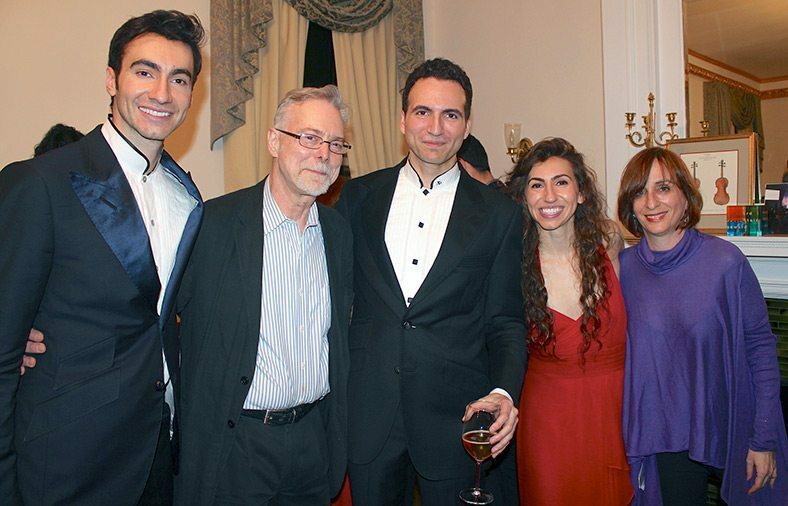 The Carpenters have given many benefit concerts since Salomé was formed almost five years ago, but the Family Focus event at Columbia has additional significance, as Rutkowski’s wife, Lisa Binder, is the charity’s assistant director. Family Focus concentrates on placing older children into permanent adoption and offers training for potential adoptive parents. “It will be a thrill beyond words to perform with Salomé Chamber on April 3,” said Rutkowski of his protégés, all of whom went on to Princeton University to major in political science after high school. Sean continued his graduate studies at the University of Cambridge. “Music was never the intention,” added Lauren, ironically. The siblings have also successfully started Carpenter Fine Violins, a venture that caters to investors, musicians, and collectors of rare instruments. Tickets to the 8 p.m. April 3 concert are available at www.salomechamber.org. This article appeared in Issue 3.07.14.